The natural crystalline lens, located within the eye, is clear and helps focus light rays onto the retina. Over time, this lens becomes yellowed and cloudy, leaving vision hazy and sometimes causing significant glare. Cataracts are most commonly caused by the natural aging process of the eye. However medical problems like diabetes, eye injuries, medications (i.e. steroids), or excessive exposure to sunlight can stimulate cataract development. Cataracts cannot be fixed with a laser or eye drops. Surgery is the only permanent solution. When would surgery be indicated? 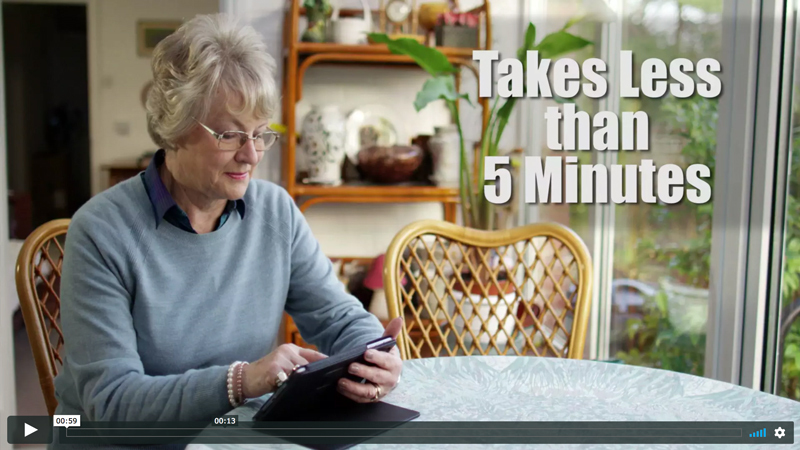 As long as your vision allows you to perform your normal daily activities, nothing needs to be done about a cataract. When your cataract progresses and the resulting blurred vision impairs your daily activities, the only definitive treatment is cataract surgery. Cataract surgery is a very common, out-patient procedure with a success rate of +98% for improving vision. During surgery, the clouded lens is removed and a clear, artificial lens is implanted called an intraocular lens (IOL). Through modern advancements, there are many options for intraocular lenses, including lenses that dramatically reduce or even eliminate dependence on glasses. The doctors at Heart of America Eye Care will explain which lens/lenses would be the best selection for you and why. What are potential issues from cataract surgery? Although the incidence of significant complications in cataract surgery is extremely small, there are remote risks of potentially serious complications. These should be thoroughly discussed with your doctor prior to surgery. Infection – Just like any other surgery, there is a risk of infection. The estimated incidence following cataract surgery is approximately 0.15% which is extremely low. Our doctors prescribe a combination anti-inflammatory/antibiotic eye drops to aid in the reduction of inflammation and to prevent post-operative infection. Posterior Capsule Opacification – Cataract surgery is a permanent solution but sometimes after surgery, the posterior capsule behind the IOL may be come cloudy. If this happens, our doctors perform a simple laser procedure to make an opening in it, allowing light to enter, and restoring clear vision. Cystoid Macular Edema – Some people, particularly diabetic patients, within 1-6 months after surgery will develop edema or swelling within the macula. This is the area responsible for your central vision. This is a short-term issue typically treated with eye drops and may occur in anywhere between 1-19% of patients. There are few restrictions after most cataract operations. We recommend avoiding dirty environments and strenuous physical activities for a week. You may resume most activities including deskwork and driving within a day or two in most cases. 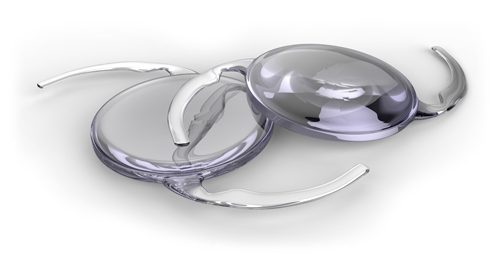 What are your intraocular lens (IOL) options? IOLs are made of plastic, acrylic or silicone. Some IOLs block ultraviolet light. Heart of America Eye Care offers the most advanced technology IOLS (ATIOLS) which further enhances post-operative visual outcomes. Today’s advanced technology lenses can dramatically reduce or even eliminate your dependence on glasses. Before surgery, your doctor will discuss which type of lens would work best for you, considering your lifestyle and insurance/budget. This option delivers excellent vision at only one focus point. This lens can be set for close (reading), medium (computer) or distance (driving) vision. Most opt for distance and then use reading glasses for close work. This lens is typically covered by medical insurance. Monovision – Doctors can set a monofocal lens with a different power in each eye so glasses are eliminated for most daily activities. The dominant eye is generally set for distance and the other eye is set for near. These lenses provide vision correction for those with certain levels of astigmatism. While these lenses decrease the amount of astigmatism, the patient will generally require use of glasses afterwards. This lens is set to a single focus strength. However, the lens moves or changes shapes inside the eye to shift focus from distant to near objects. This creates a greater freedom from glasses than the monofocal implant, but may still need reading glasses for small print. This lens is not covered by insurance. These lenses have either bifocal or progressive designs with differing focus strengths that enable both near and distance vision. They minimize or eliminate the use of glasses. This lens is not fully covered by insurance. Heart of America Eye Care doctors can determine if you have cataracts.